Want to see Rome’s top sights in 3-days WITHOUT spending money? It’s tough, but not impossible. All you need is an alarm clock, a good pair of walking shoes and self-control around gelato. Gelato is always a good idea is a hard mantra to shake once you touch down in Italy. The good news is that most of Rome’s top sights don’t require any money. Want to see the Colleseum? How about the famous Roman ruins? Or the Trevi Fountain and the Pantheon? None of these sights will put a dent in your wallet. Here’s how to spend 3 days in Rome as a budget traveller! WANT TO SEE THE BEST OF ROME? The key to getting the most out of 3 days in Rome is your alarm clock. It’s going to become your new best friend and help you get to all the top spots before everyone and their uncle. Your first 4:00 a.m. wake up call (sorry not sorry you’ll thank me later) will be for the iconic Coliseum. Despite its popularity, it’s a relatively quiet sunrise spot. You’ll only find one or two other photographers snapping away as the day breaks through the ancient Flavian Amphitheatre. The best part? It won’t cost you a single cent to admire the Coliseum in all its glory. Next up, is the historic Aventine Hill. It’s one of the Seven Hills on which Rome was built and boasts some of the city’s best views. Located 1.8km from the Colleseum, it’s an easy walk through Rome’s streets or a short ride on one of the bus, metro or tram lines. Once you’re there, you can wander past the many churches and monasteries before making your way to the Knights of Malta keyhole in Piazza de Cavalieri di Malta. 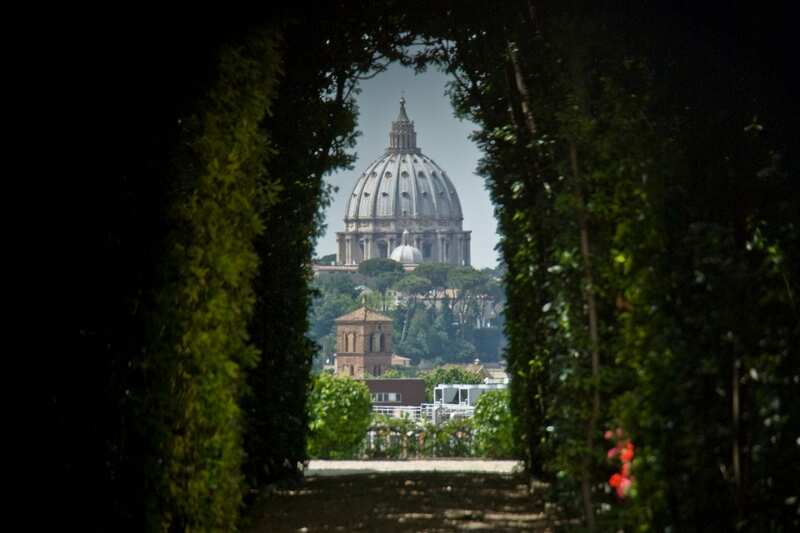 Peep through, and you’ll see a beautifully framed shot of the dome of St. Peters. Trastevere is a charming medieval neighbourhood. It’s known for its trendy bars, delicious restaurants and picturesque streets. 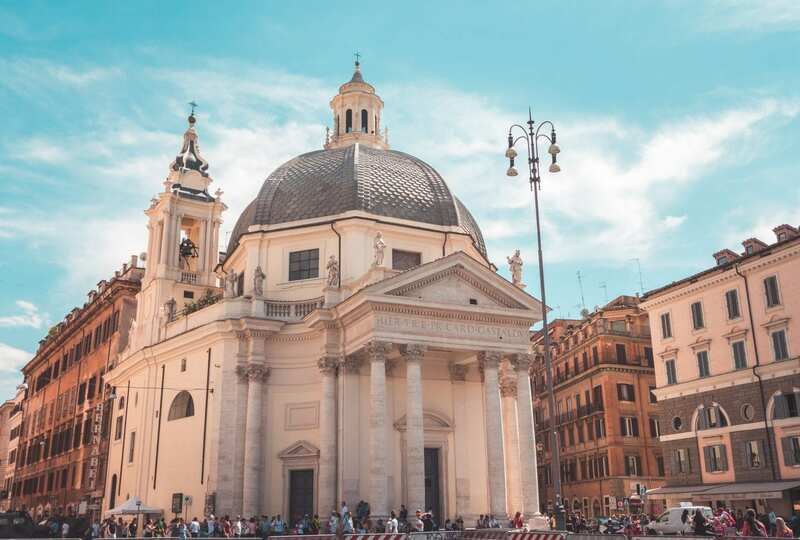 Visit the 12th-century Basilica di Santa Maria, catch up on some work at one of the digital nomad friendly cafes and explore the opulent Farnesina Renaissance villa. The neighbourhood is also home to my favourite pizza place, Dar Poeta. Hands down the best pizza I had in Rome – plus the wine was cheap and delicious. If you’re new here, hi I’m Lauren and I’ve got a strong case of winederlust. Once you’ve refuelled, make your way to the University of Rome’s beautiful botanical garden. If the EUR 8 is too much for your wallet (or you would prefer to funnel that towards more wine), climb the eighth hill of Rome, Gianicolo. It’s free and you’ll get a panoramic view of the city below. Want a prime spot for watching your first Roma sunset? Head to the Ponte Garibaldi bridge. It’s one of the best places in the city to end off your day. Watch the light show from the bridge or head to one of the restaurants set up along the river bank. 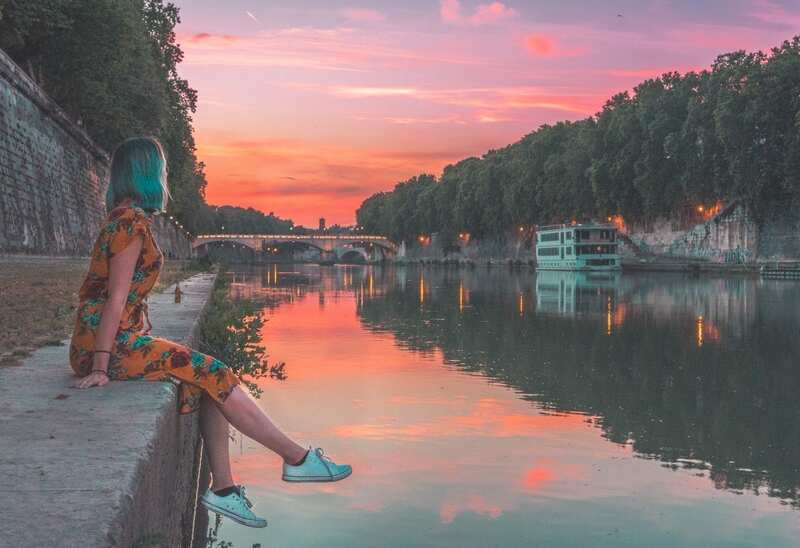 If you don’t want to fork out money for drinks at a restaurant, grab an EUR 2 bottle of wine and grab a spot on the banks of the Tiber River. 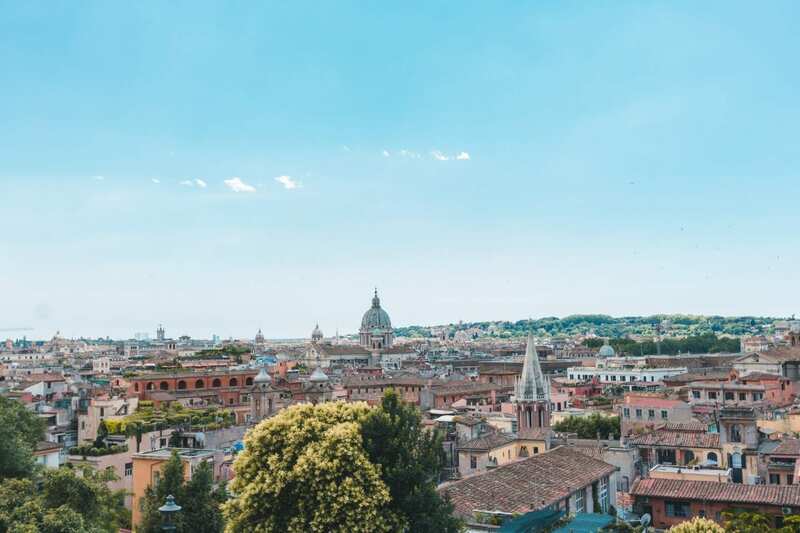 You’ll have an uninterrupted view of the Vatican in the distance – perfect for that sundowner, more gelato or both. It’s hard to miss the Altar of the Fatherland. Look at those tiny humans! Can you spot the two guards under the statue in the middle? This building belongs in the dictionary next to the word “gargantuan”. 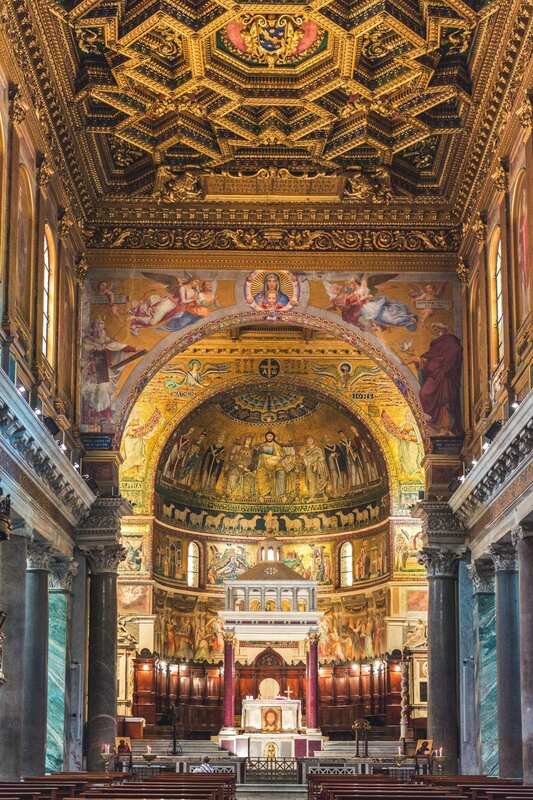 During your 3 days in Rome, you’ll probably walk past the Altar at least once. Standing at 70 meters high and occupying an area of 7,000 square metres, it’s the largest national monument in Italy. 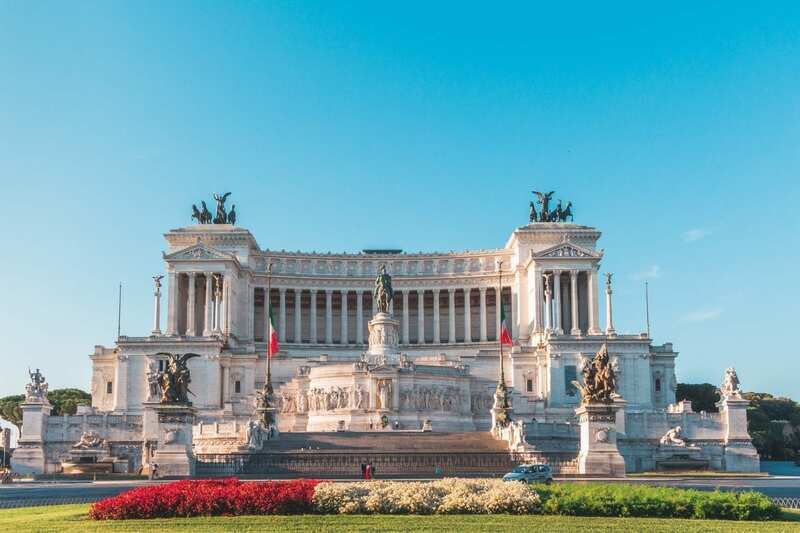 Built as a tribute to the country’s first king, Victor Emanuel II, it now houses the Tomb of the Unknown Soldier, and its roof offers visitors 360-degree views of Rome. 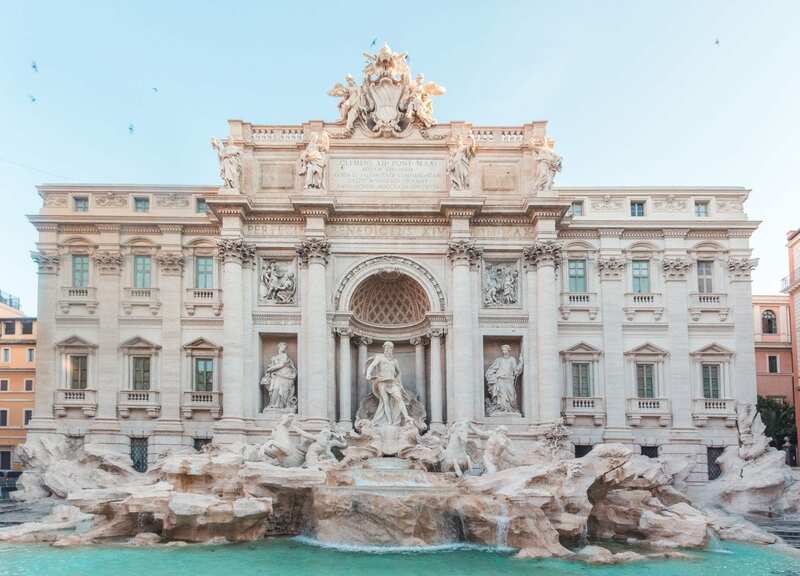 The Trevi Fountain is Rome’s Holy Grail of Instagram photo spots. It’s one of the oldest water sources in Rome and attracts hundreds of tourists every day. But if you’re anything like me, that level of popularity is off-putting. To avoid the crowds and enjoy the fountain in peace, set your alarm clock for 4:00 a.m. once again. (When in Rome, you might as well become a morning person). You’ll be able to pick and choose your photo spots without having to plan your shots around hordes of other people. Multiple outfit changes are optional. 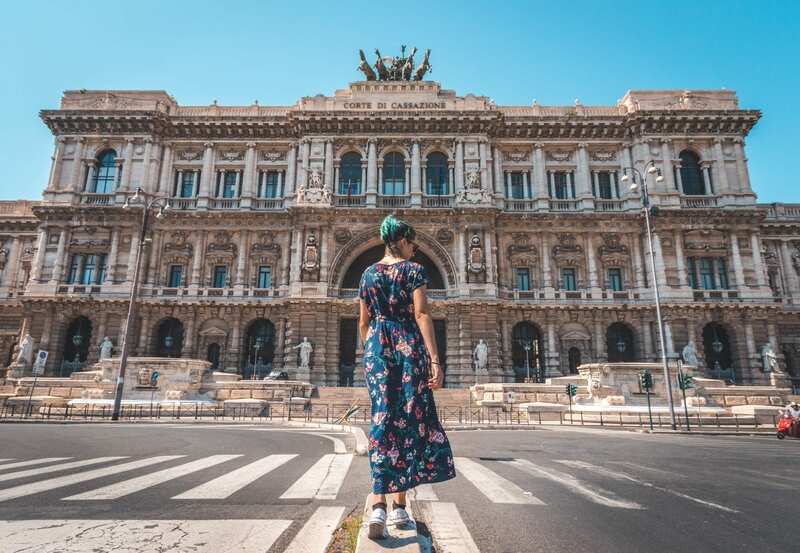 Next up, take a walk through Rome’s quiet streets to Ponte Umberto I.
You’ll wander past quaint cobblestone alleyways, espresso shops and watch the city slowly come to life. 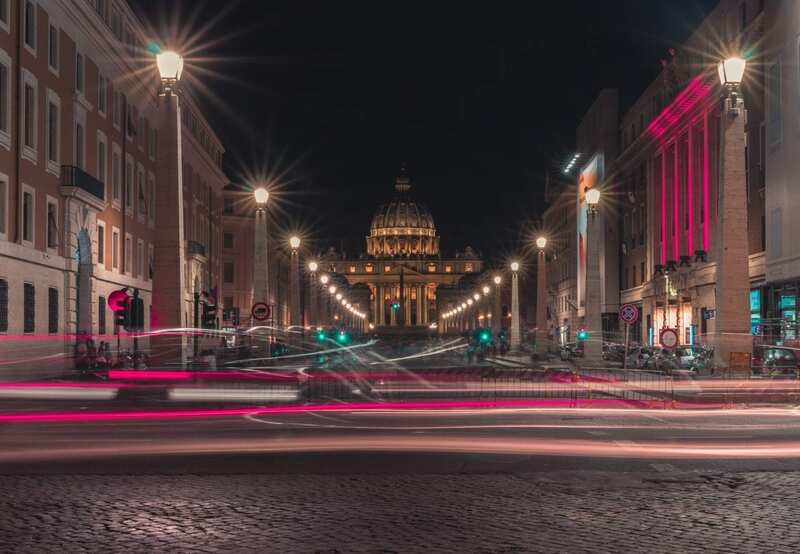 Once at Ponte Umberto I, whip out your camera and get ready to capture the view of St. Peter’s Basilica in the distance. It’s the perfect way to start your day centred around exploring the Vatican, and it’s surrounding area. A short distance from Ponte Umberto I stands the Palace of Justice. Located on the south side of the Tiber River, it’s one of the most impressive newer buildings in Rome. Inside you’ll find the Supreme Court of Cassation (the highest court of appeal in Italy) and the Judicial Public Library. If Rome does one thing, it will turn you into an architecture nerd. 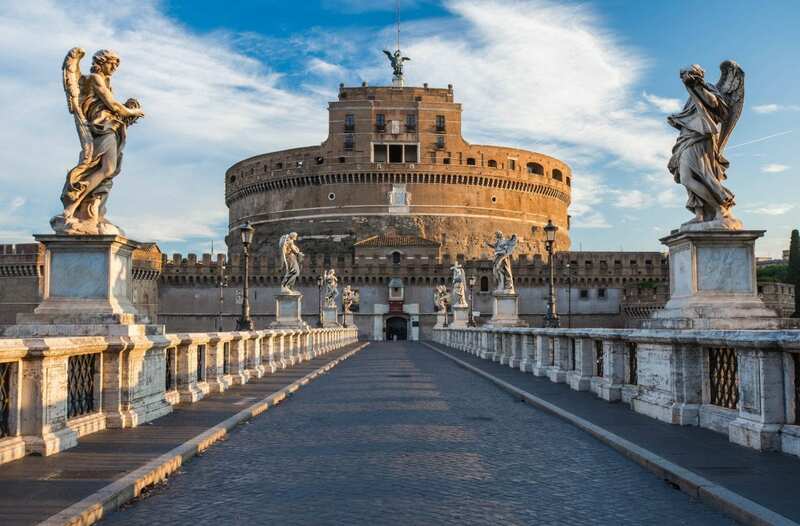 Once you’ve taken in the grandeur of the Supreme Court, follow the river to the Castel Sant’Angelo. The fortress, also known as Hadrian’s Tomb, is one of the oldest buildings in Rome. Construction began in the year 135 and eventually an 800-metre fortified corridor was built to connect the castle and the Vatican City. Entrance will set you back 10 EUR. But with more impressive museums elsewhere and only 3-days in Rome, it’s best to save your Euros and appreciate the building from the outside. No trip to Rome would be complete without a stop at Vatican City. It’s the smallest country in the world and boasts famous sites such as the Sistine Chapel and St Peter’s Basilica. But the Vatican is not an attraction you can conquer in an hour. If you don’t have a pass that lets you skip the lines, you’ll be queuing in the hot sun for hours. Plus it’s easy to spend almost an entire day exploring the city. And with tickets costing as much as EUR 29 (R 450.00 eish), you want to make sure you’re getting your money’s worth. So what if you can’t afford the hefty entrance fee for the Vatican? It’s the largest church in the world and one of the holiest sites for Christians. Entrance into the church is free, but there are a few areas that require tickets. During your 3 days in Rome, plan your visit to St. Peter’s dome for sunset. You’ll have to pay EUR 8 (R 124.00) and climb 551 steps but you’ll be rewarded with 360-degree views of St Peter’s Square below. Your glutes and Instagram account will thank you. Once the centre of day-to-day life in Rome, the forum’s government buildings are now a massive archaeological site. But you don’t need to fork out Euros to see the famous Roman Forum ruins. All you need to do is head to the viewpoint located on my 3 days in Rome itinerary map at the bottom of this post. Make your way here for sunrise and watch the first rays of light come through ancient buildings. If you want to go inside the forum, buy a fast track ticket. You’ll get access to the Coliseum as well as Palatine Hill and the ruins for EUR 16 (R 248.00). Optional: If you want to increase your dose of ancient Roman history, add a trip to Via Appia. 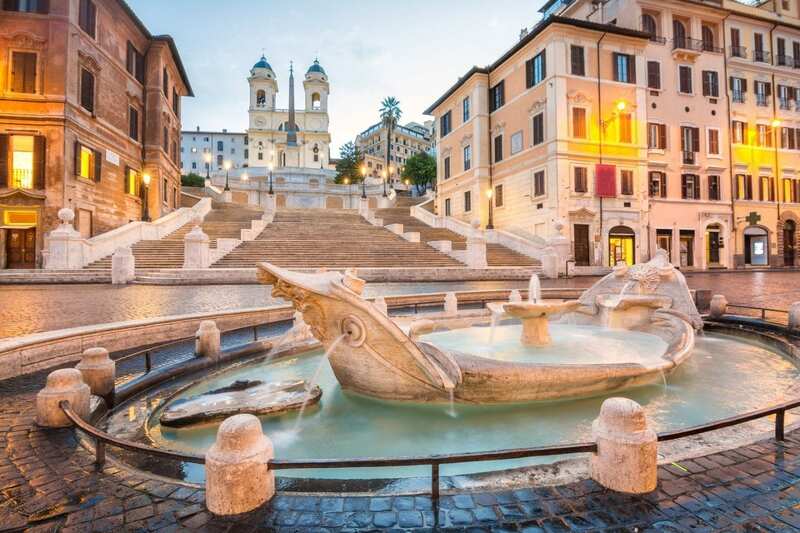 After watching the sunrise, hop on the metro and make your way to the famous Spanish Steps. 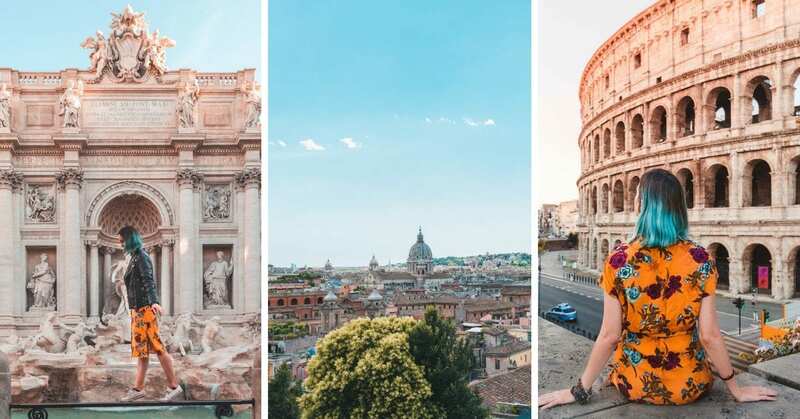 With hardly any crowds in the mornings, you can recreate your own Lizzie McGuire moment without any photobombing fails. Hot Italian pop star who answers to Pablo is not included. And while you here, grab a shot of espresso and a croissant, find a spot on the steps and watch the city wake up. 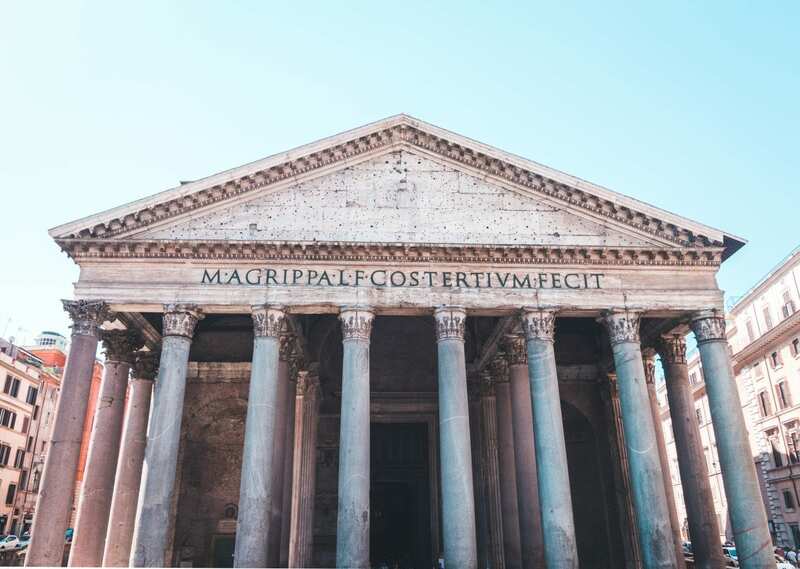 Located 1km from the Spanish Steps, the Pantheon is the best preserved Ancient Roman monument in Rome. Its over 2,000 years old and was once used as a temple to worship the Roman Gods. Later on, the building was converted into a Christian church and is also the final resting places for two of Italy’s kings as well as the famous painter Raphael. If you want to avoid the crowds, get here as early as possible or come up in the evenings when the Patheon is lit up. On your walk to the monument, keep a lookout for the Parrocchia San Lorenzo in Lucina as well as the Montecito Palace. Ever wondered what life was like during the height of the Roman Empire? Visit the Piazza del Popolo. It’s the square where foreign visitors would first enter the city. 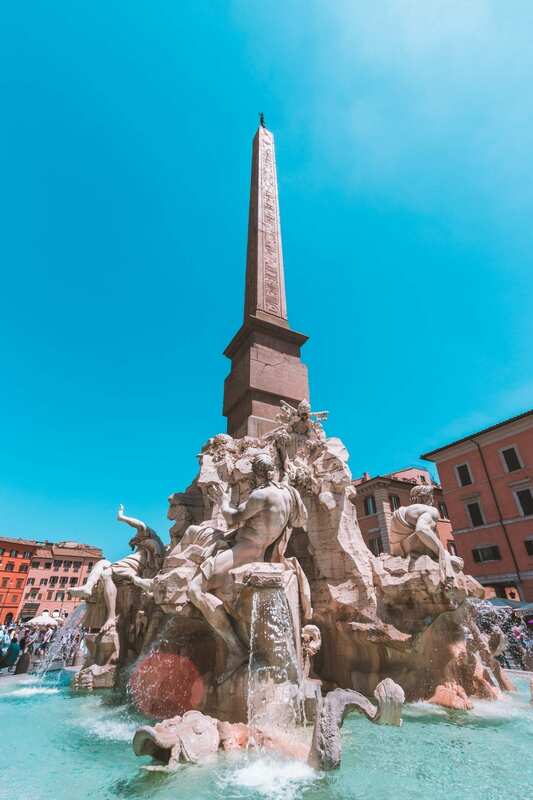 Today, it’s a popular meeting spot that boasts an Egyptian obelisk dedicated to Ramesses II, two churches and is where three of Rome’s most important streets (Via del Babuino, Via di Ripetta and Via del Corso) meet. 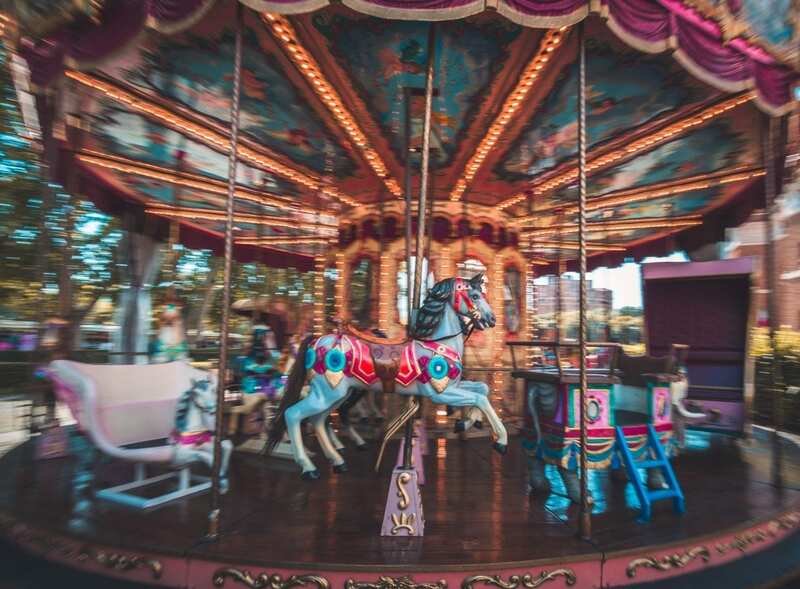 Round off your 3 days in Rome with a trip to Pincio Promenade. Located above Piazza del Popolo, it’s home to one of the best sunset spots in the city. 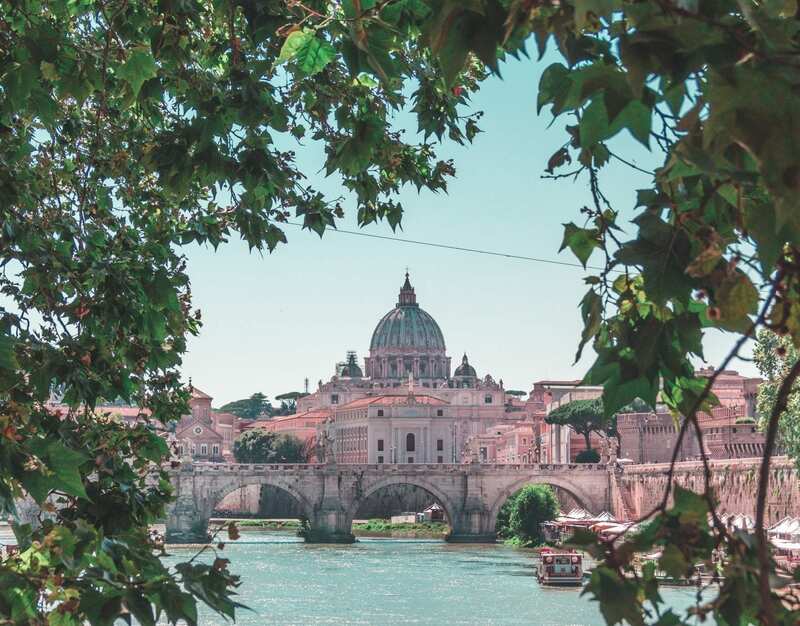 Along the park’s promenade, you’ll find a panorama that includes the Vatican, the Gianicolo, the Vittoriano monument, Quirinale Hill and Monte Mario. Keep your costs low during your 3 days in Rome by staying at a hostel. Ranging from the bare minimum backpackers to poshtels complete with on-site restaurants, you’ll be able to find a budget-friendly option that suits your travelling style. Most of the hostels tend to be in an area around Roma Terminus. While it makes getting to and from the airport convenient, you won’t be close to the city’s top sights. Luckily, there are plenty of bus stops and metro stations in the area if you don’t want to walk. If you want to stay closer to a particular attraction or want more options, use Booking.com. You’ll be able to filter accommodation options by price, distance, review score and even if breakfast is included. AirBnb also has affordable options. You can rent a private room for R 266.00 per night or an entire apartment for R 440.00 per night. The best thing about Rome is its walkability. The city is flat, making it easy to rake up 10-20km a day. But if you want to get around Rome faster, buy a 72-hour transport pass. You’ll get unlimited metro, bus, and tram travel within the city for EUR 18. Buy your ticket from the vending machines inside the subway or nearby convenience stores. 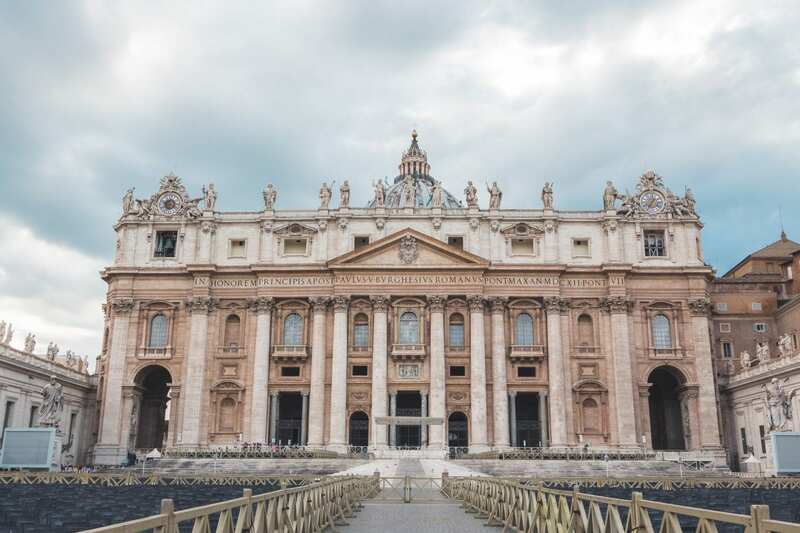 Entry to the Sistine Chapel, the Vatican Museums, two other attractions of your choice. Fast track entry to St Peter’s Basilica, Sistine Chapel & The Coliseum. Unlimited access to Rome’s public transport system. Discounts to 30 sights, attractions and museums in Rome. The best time to visit Rome as a budget traveller is during the low or shoulder seasons. 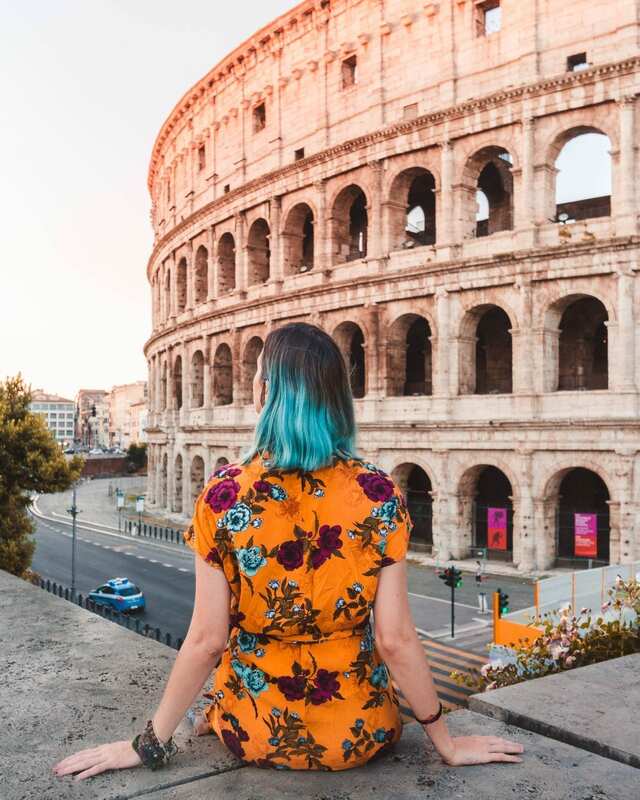 From March to May and September to November, you’ll find cheaper flights, low hotel rates and fewer crowds at Rome’s top attractions. The city’s winter months are also a good option as long as you plan your trip around the busy festive season. June to August is high season in Rome and the most expensive time of year to visit the city. It’s the summer holidays in Europe, and the city’s streets are full of tourists. 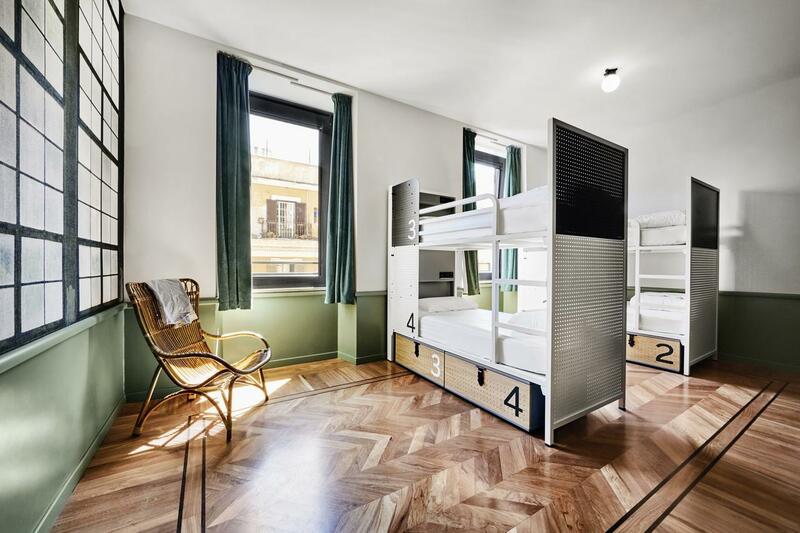 Hostels double their prices due to the high demand and escaping the crowds will be more of a challenge. Power adapter: South African travellers will need to bring a European power adaptor for Rome. It’s not possible to find one for our plugs in Italy so make sure you buy it before you leave home or at OR Tambo International Airport. Pick-pocketing: Pick-pocketing is common in Rome especially around popular monuments and attractions. It’s important to be vigilant of what is going on around you, especially if you’re in a crowd. Invest in one of these anti-theft backpacks from Amazon or Takealot for peace of mind and keeping one of your bank cards in your suitcase in case your wallet is stolen. Lunchtime specials: Save money on food during your 3 days in Rome by heading to the city’s restaurants for lunch. Most establishments run a special where you can get a starter, main course and a drink (usually wine or beer) for under EUR 10. Order the house wine: If you’re a wino like me, drinking in Rome can quickly get expensive. Save money by ordering the cheaper house wine instead of a bottle. 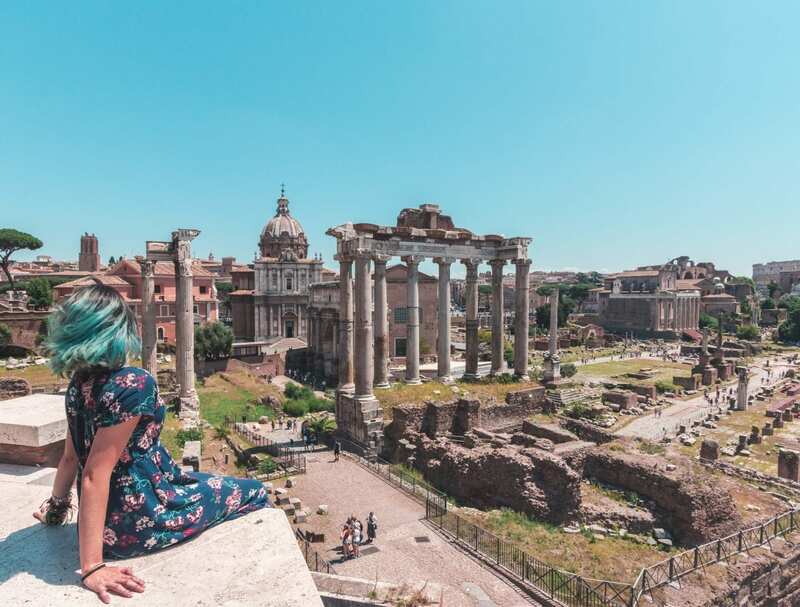 Get into the museums for free: If you’re visiting Rome on the first Sunday of each month, you’ll be able to see the city’s many museums and archaeological sites for free. The Colosseum, Roman Forum and Palatine Hill are just some of the attractions you’ll be able to see for mahala. Sign up for a free walking tour: Learn about Rome’s history from a local guide. You’ll visit the city’s top spots as well as a few lesser-known gems and learn about Rome’s fascinating past. Add this map to your phone and these budget attractions will only be a few swipes away! 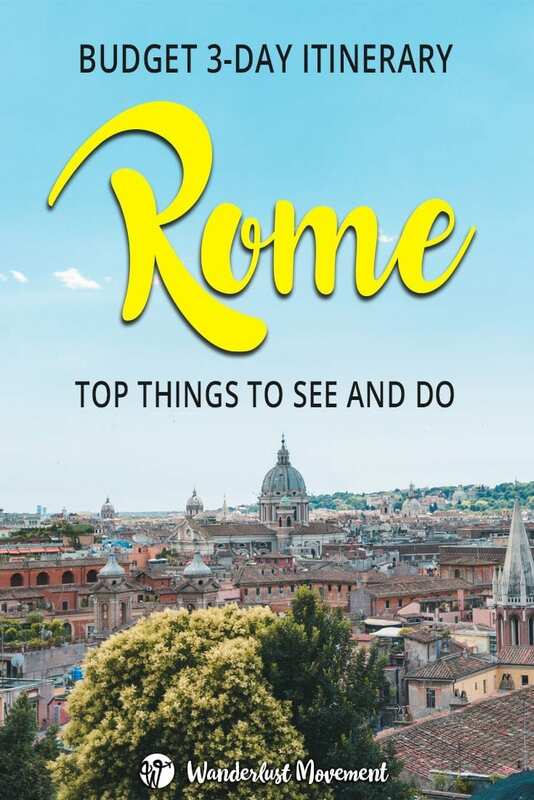 Get the FREE Rome on a Budget bucket list in a convenient PDF download. See the top sights that won't put a dent in your wallet - without skimping on the quintessential Roma experience! Success! Check your email to download your FREE Rome on a Budget bucket list! So perfect for me as a student! I’m planning to go around Italy after I graduate and this is so needed! Oooh that is an amazing graduation gift to yourself! Eat all the gelato – it’s mandatory for all Rome itineraries!